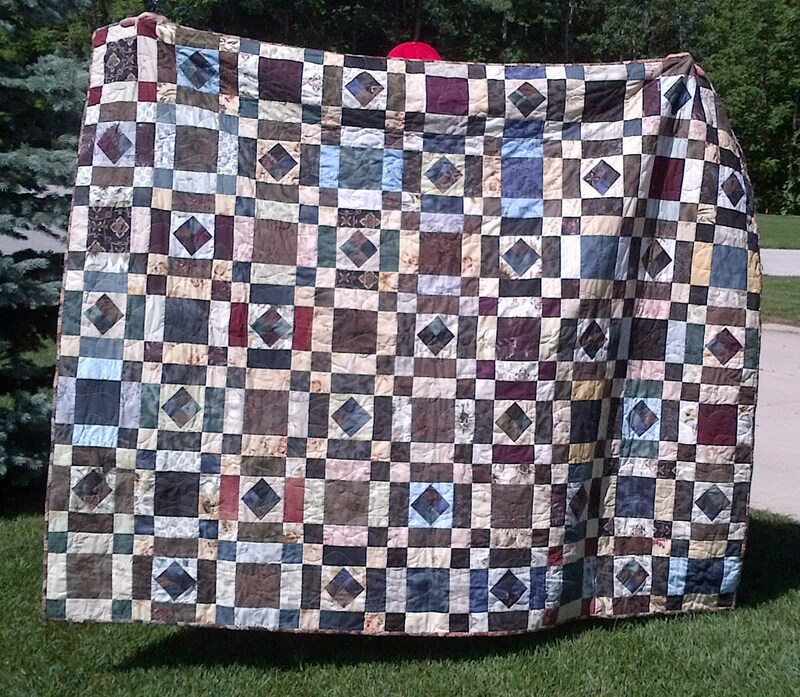 This is my version of The Giving Quilt all done and ready to donate. I loved Jennifer Chiaverini's book of the same title. In my opinion she does a wonderful job of character description. 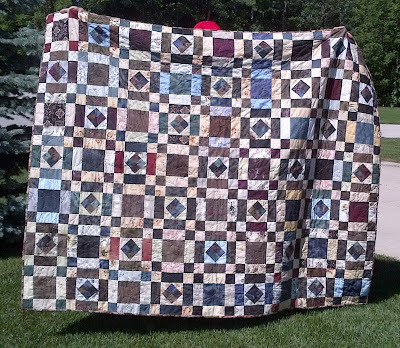 After the book came out she published the directions for the quilt. As a scrap quilter I had to make some slight alterations. As an example the outer border is not quite the same as the pattern but I was (as usual) working with donated bits of this and that and had to figure out just what I could do to add the border. I keep hoping this figuring out is good for my brain and will replace Crossword puzzles as a brain stimulant. Yesterday we had lots of excitement on our tiny street as the neighbours hosted a private concert with John McDermott. They had been the successful bidders at a charity auction and last evening was the result. We were a little nervous about how our grandsons would take this event because it was an adult occasion but they amazed us. Sat in the very front row and did not move until intermission. They told us the singing was good and the guitars were good too. 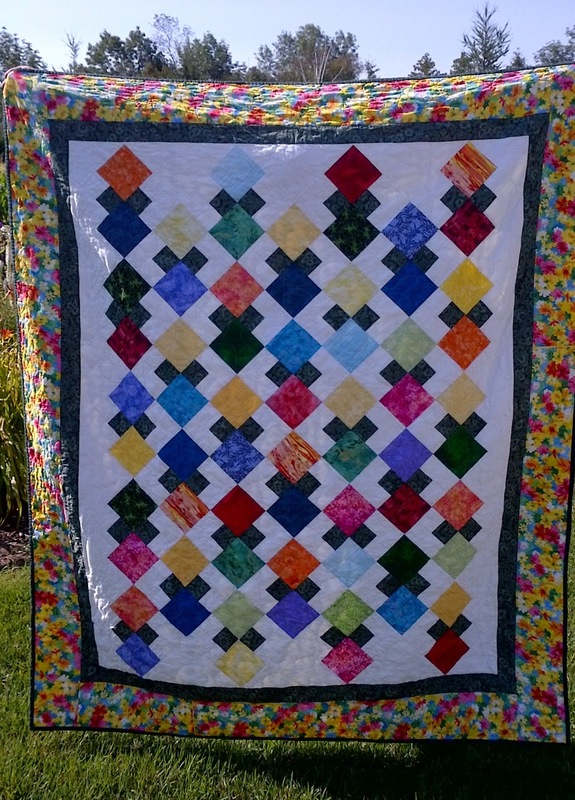 I am in the final stretch with my Quiltmaker's 100 blocks Volume 8 Sampler quilt. I have only see a few of the blocks from this upcoming issue but I believe it will not disappoint.